If you are thinking of becoming a counsellor, you may be wondering if you could put to good use your own life experience by offering support and understanding to those trying to cope with difficulties that you may have encountered and worked through yourself. The ancient Greek aphorism "know thyself" is immensely important in this regard. For unless counsellors are in harmony with themselves they cannot truly relate to the needs of those they seek to help. 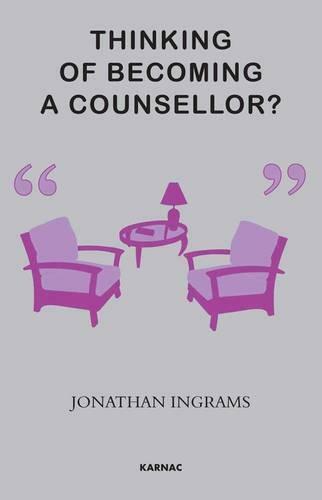 It is not enough for the counsellor to play the role of the therapist. He or she has to be the therapist - a very different concept. This book explores the journeys of self-discovery that prompted the pioneering practitioners to direct their skills in particular ways and the influence exerted by their backgrounds, ambitions, and personal histories. The overall objective is to help intending therapists to arrive at an understanding of the inner resources they will need to embark on a counselling career, and to help them determine which approach might best accord with their temperament and lifetime's experience.